Black Salsify is an underestimated vinter vegetable. I like the crunchy texture when steamed. I created this side dish which is a perfect side to anything which is a bit heavier that you want to break off with the freshness of the lemon and the depth of the tarragon. Peel and prepare the salsify. Mix lemon, tarragon, salt, pepper and oil in a small bowl. 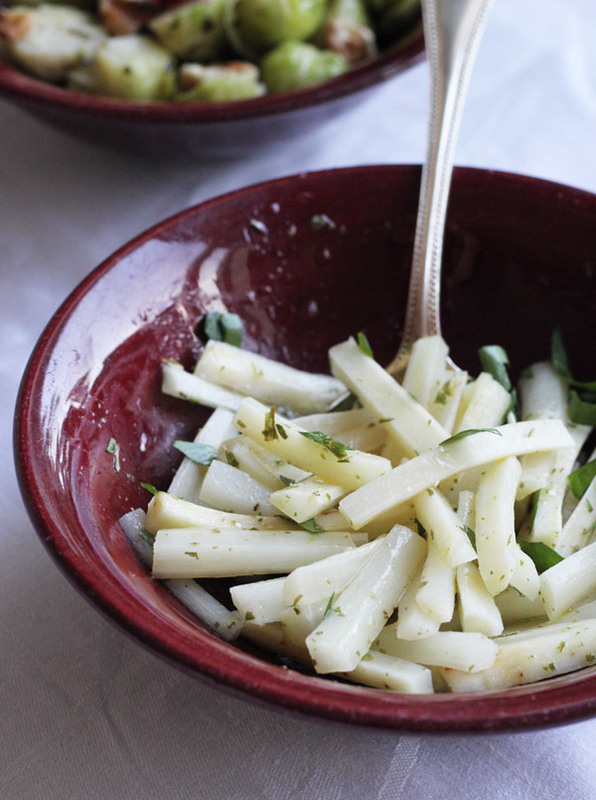 Add salsify to a beautiful bowl, add dressing and toss. 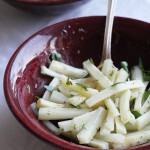 Don't eat raw salsify, it may give you a severe tummy ache!